As you know, I LOVE using picture books to teach and review upper elementary reading comprehension skills. 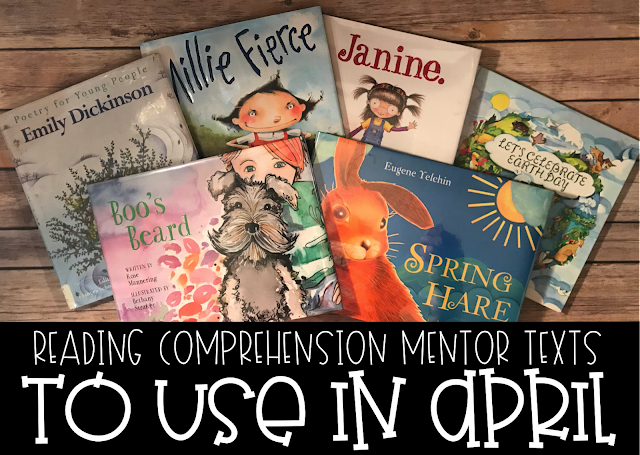 In today's blog post, I share a few books that are perfect for April as well as a few books that could be used at any point during the year! This wordless book is so perfect for upper elementary students to REALLY put those drawing conclusion skills to work! The illustrations in this book are beautiful, and it is perfect for spring. I also love that I don't even know if my inference is correct regarding what is happening! Since April is National Poetry Month, I wanted to share a couple of books that are perfect for sharing poetry with your students. I love that the Emily Dickenson poems are classic and something that all students should read at some point. Put Your Eyes Up Here is a fun book that shares an array of poems about school that my students really enjoyed! It also offers many opportunities for your students to imitate and create poetry of their own. 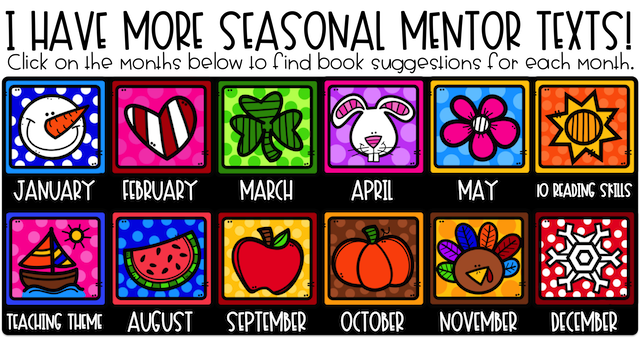 This month, we also celebrate Earth Day, and I love bringing nonfiction text into the classroom for our students to learn new information in an engaging way. 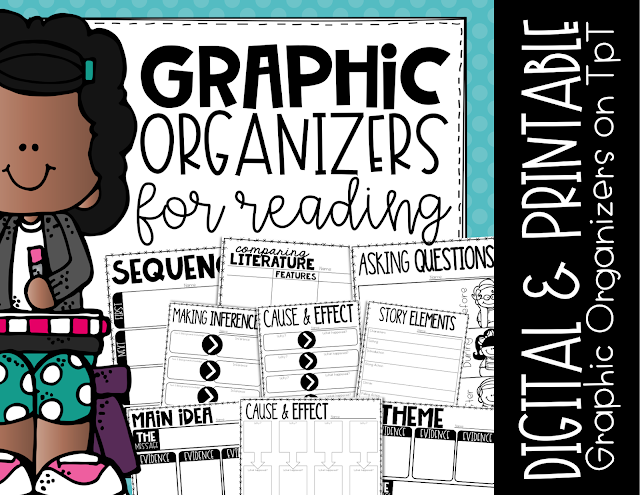 By printing multiple copies of a main idea graphic organizer on one page, your students can find the main idea of each section of this book! I could probably go on and on about both of these books! They are both PERFECT for teaching theme, character traits, and story elements. When I began my review, I read Janine. first. I really loved it, and I thought it would be a great story for all students to read. Then, I read Millie Fierce. In the beginning, I felt like I was reading the same story! Two young female characters who were struggling with being different. As the story progressed, I saw that each of these characters handle themselves very differently. Both learn valuable lessons. And both are completely worth the read! This book has amazing illustrations! The story is excellent and shares how Boo, the dog, helps his owner, Tom, meet new people in the park. It is a simple story that is great for practicing sequence, story elements, or problem and solution.